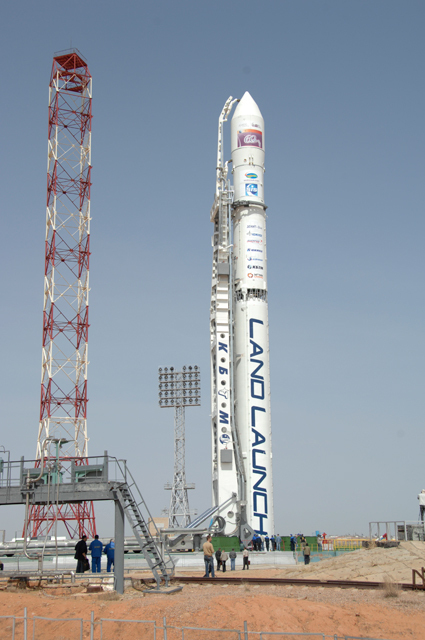 The Zenit-3SLBF Launch Vehicle is a Russian-Ukrainian expendable carrier rocket that is part of the Zenit Rocket Family. Zenit 3SLB was formerly operated by Sea Launch subsidiary Land Launch, taken over by the S7 group after Sea Launch dissolved. The Rocket was designed by the Yuzhnoye Design Bureau and is constructed by Yuzhmash, both Ukraine. 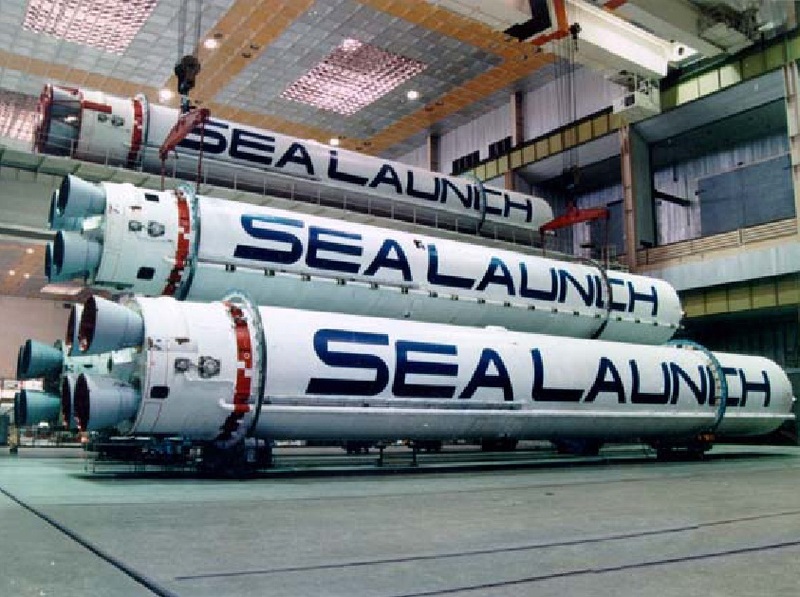 Zenit-3SLBF is based on the Zenit-3SL launcher that is modified to launch from the sea-going Odyssey Platform. The SLBF version differs from the SL and SLB version in its Upper Stage Design as it uses the Fregat SB instead of the Block DM-SLB. The vehicle is based on the Zenit-2SB launcher with the addition of a third stage to target a number of different orbits. Zenit-2SLB is also available for launches to low orbits. 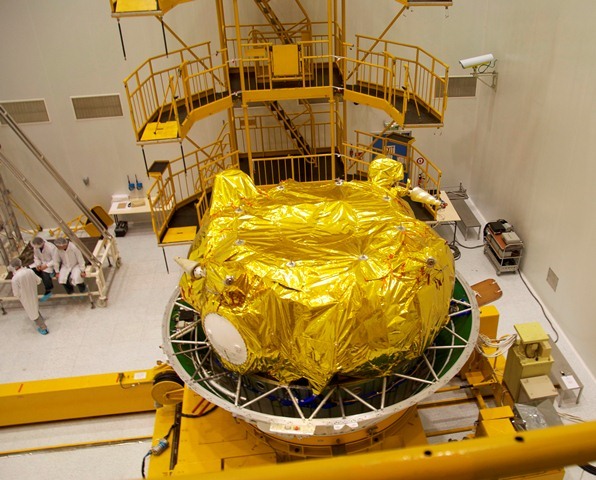 Zenit-3SLBF is operated from existing Zenit-2 facilities at Site 45, Baikonur Cosmodrome, Kazakhstan. The vehicle can reach a variety of orbits including Geosynchronous Transfer Orbit, Medium Earth Orbit and Geosynchronous Orbit. 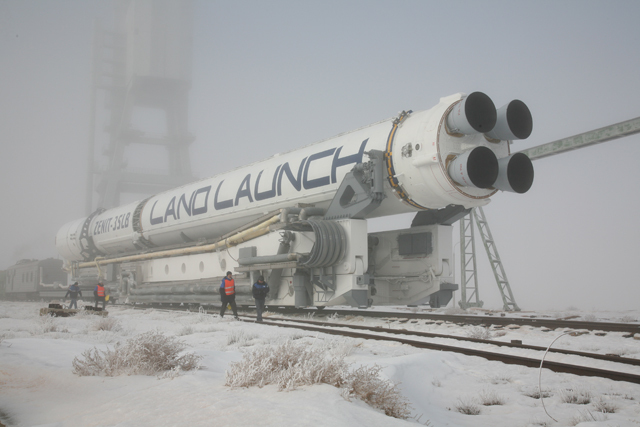 The Zenit-3SLBF Vehicle consists of the basic two-stage Zenit 2 design with two lower stages fueled by Liquid Oxygen and Kerosene. The two integrated stages are 43.3 meters long and 4.1 meters in diameter. Atop the second stage, the Fregat SB is installed which is based on the Fregat Upper Stages of the Soyuz rocket but hosts an Auxiliary Propellant Tank to carry more propellant and launch heavier payloads. 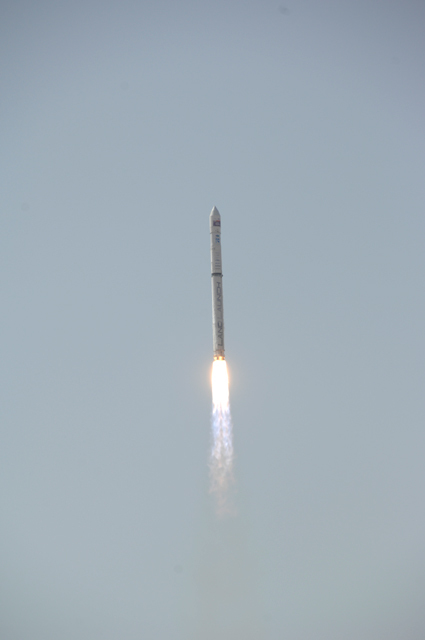 The launch vehicle is topped by a 4.1-meter diameter Payload Fairing. Major configuration improvements have been made distinguishing the Zenit-3SLBF Vehicle from its predecessors, namely the Zenit-3. These modifications include new avionics, navigation computers as well as mass reductions and structural improvements. Zenit-3SLBF stands 54.3 meters tall and has a diameter of 3.9 meters. In its 3SLB configuration, the vehicle is almost exclusively used for launches to Geosynchronous Orbit or Geosynchronous Transfer Orbit. It can carry payloads of 1,600 Kilograms directly to Geosynchronous Orbit. 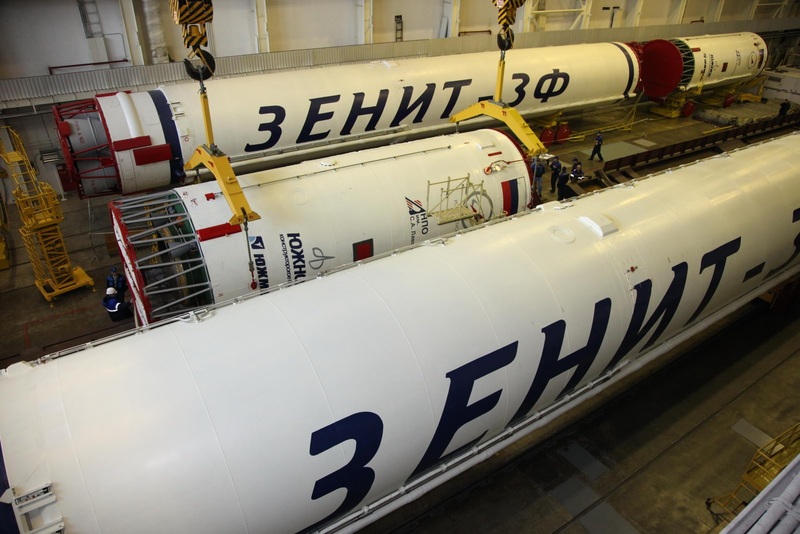 The first and largest stage of the Zenit-3SLB Rocket has an inert mass of 27,564 Kilograms. 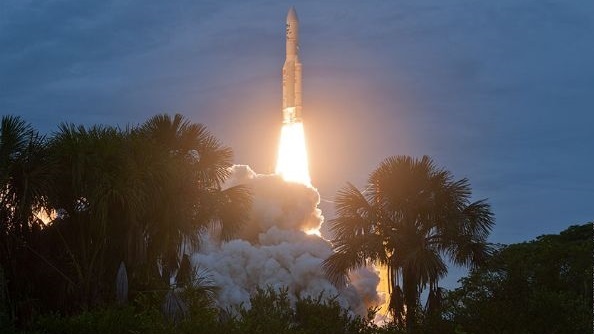 It consists of the central tank containing 236,567 Kilograms of Oxidizer, Liquid Oxygen, and the fuel tank holding 90,219 Kilograms of Rocket Propellant 1 which is rocket-grade Kerosene. 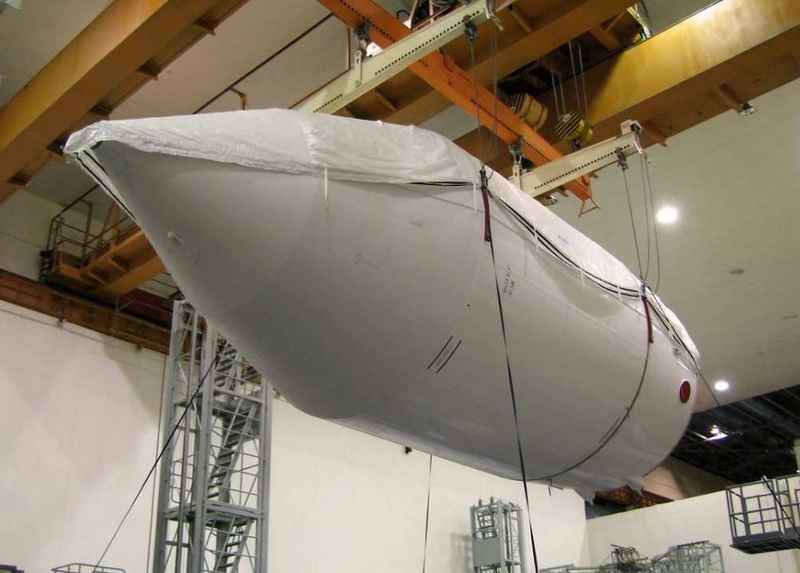 The first stage tanks are made of aluminum and features stiffeners for structural integrity. The stage is 32.9 meters long and 3.9 meters in diameter. 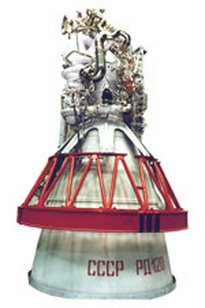 The first stage is equipped with one RD-171 Main Engine. This single engine is powering the entire vehicle following liftoff. RD-171 is the most powerful rocket engine of the world. It provides 7,550 Kilonewtons (770,000 Kilograms) of Thrust at Sea Level. The Main Engine has four combustion chambers, all fed by a single, vertically mounted turbopump, powered by two gas generators feeding hot oxidizer-rich gas to a single turbine. RD-171 provides throttle capabilities ranging from 56% to 100% of rated performance which is used to limit stress on the vehicle during ascent. The Engine weighs 9,500 Kilograms, is 4 meters long and has a diameter of 3.57 meters. First stage attitude control is provided by gimbaling each nozzle individually by a hydraulic system by a so-called BIM hydraulic pump. The BIM pump assembly consists of two turbopumps, one is driven by high-pressure helium and one uses Kerosene provided by the RD-171 fuel subsystem. When being powered with helium, the BIM reaches an intermediate power level which is increased to full hydraulic pressure when BIM switches to the Kerosene pump. Guidance data is provided to the first stage by the Navigation System that is installed on the second stage. The first stage is separated from the launch vehicle 150 seconds into the mission. 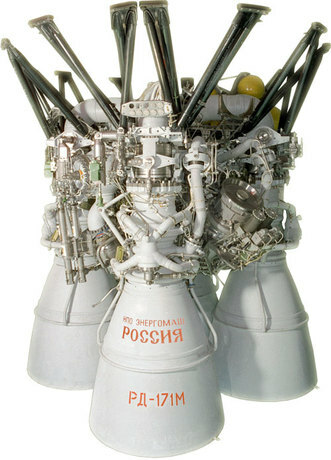 Zenit uses a hot-staging technique – igniting the second stage and simultaneously firing pyro bolts to have the first stage pushed away by second stage exhaust. 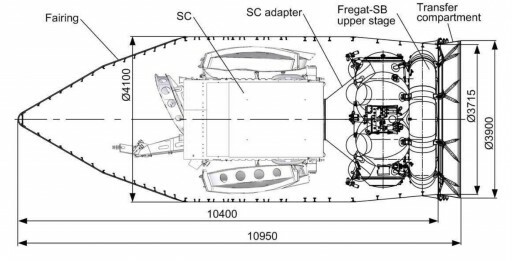 The second stage of the Zenit closely resembles the first stage design with its fuel tank located above the oxidizer tank. The stage is 10.4 meters long and 3.9 meters in diameter with an inert mass of 8,307 Kilograms. The second stage also uses Rocket Propellant 1 and Liquid Oxygen as propellants. It holds 23,056kg of Kerosene and 59,431kg of LOX that are used during 315 seconds of powered flight before the stage is separated from the orbital unit consisting of payload and upper stage. 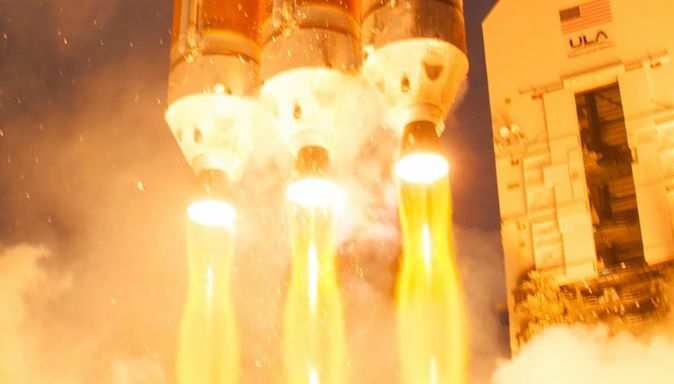 Stage 2 is powered by a RD-120 Main Engine and a RD-8 Vernier Thruster featuring four gimbaling nozzle that are used to provide three-axis control during the burn. RD-120 provides 833kN (84,950kg) of thrust while the vernier engine has a nominal thrust level of 78.5kN (8,000kg). 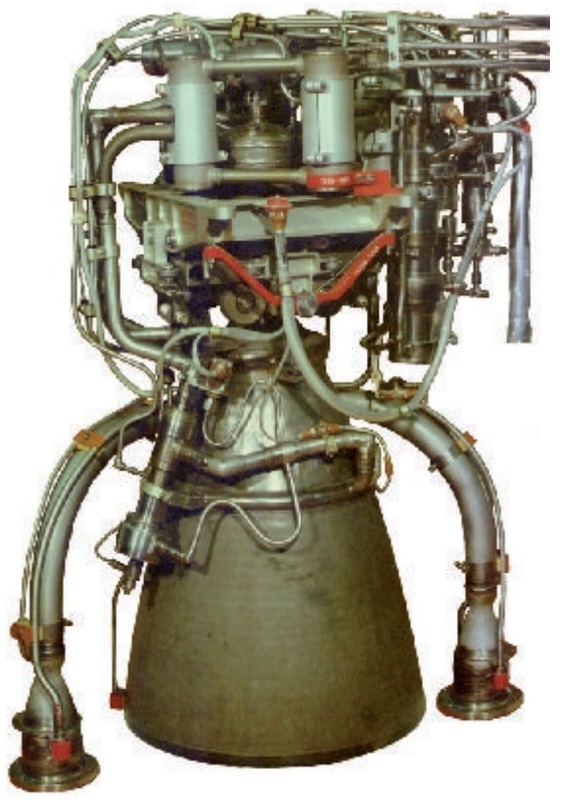 RD-120 is a single chamber engine operating at a chamber pressure of 163 bar. It is fixed and can not be moved – requiring vernier engines to provide vehicle control. The engine can be throttled back to 78%. During the second stage burn, the Payload Fairing is jettisoned to improve ascent performance – exposing the satellite as soon as thermal and aerodynamic loads are within limits. The second stage also houses the guidance system and flight computers of the vehicle that autonomously control all aspects of the flight. To increase Launch Vehicle performance and provide precise injection capabilities, the Zenit rocket can be outfitted with a Fregat SB Upper Stage that is capable of performing several burns to target a variety of different orbital trajectories. Fregat is an autonomous Upper Stage that is equipped with its own power, propulsion and control system to perform flights of up to 48 hours. 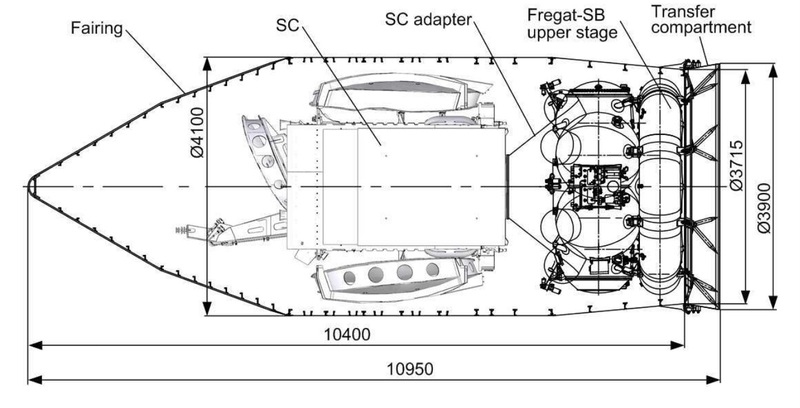 The upper stage consists of six spherical tanks (four for propellant, two for avionics) arrayed in a circle, with trusses passing through the tanks providing structural support. In its SB version, the Fregat hosts a Jettisoned Tanks Block (JTB) – a torus shaped auxiliary propellant tank increasing the propellant mass of the Fregat by 3,350 Kilograms from the MT to the SB version. NPO Lavochkin of Moscow is responsible for the production of Fregat. 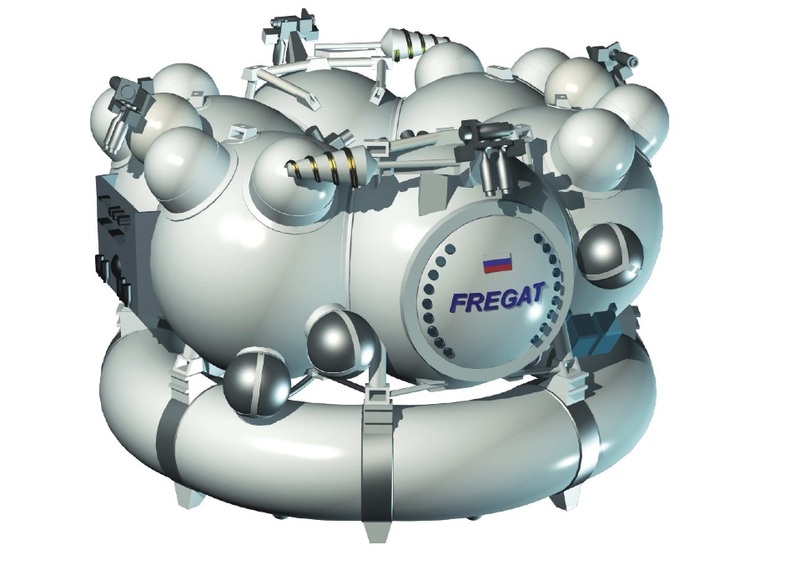 Fregat is available in several configuration, Soyuz uses the conventional Fregat, the Fregat-M and the Fregat-MT while Zenit uses the largest version known as Fregat SB. In the Fregat-M version, the upper stage features propellant tank extensions. Two spherical extensions are welded to each of the four main propellant tanks – these extensions add 30kg in mass to the stage and hold up to 500kg of additional propellant. The MT version uses larger extension tanks that weigh 120 Kilograms and carry 1,850kg of additional hypergolic propellant. In the SB version, Fregat uses the MT tank extensions in addition to the JTB. In the SB configuration, Fregat measures 2.4 meters in diameter and stands 3.9 meters tall with a dry mass of 1,320 Kilograms. When fully fueled, Fregat SB holds 10,461 Kilograms of propellants. 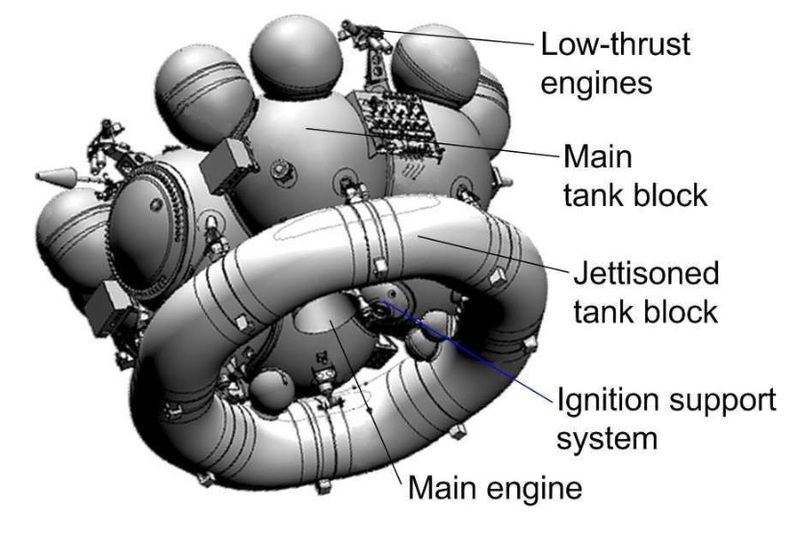 The Jettisoned Tanks Block is torus shaped and hosts two fuel and two oxidizer tanks separated by spherical bottoms. JTB includes high-pressure Helium bottles for tank pressurization, cable cut units at the upper stage interface, tare-off pyroboards and an onboard transit harness. When the JTB exhausts its propellant supply, cables and lines to the Fregat main body are cut and pyrotechnic devices in the eight structural brackets separate the tank. The fairing is attached to the 2SB Second Stage and enshrouds the Fregat SB upper stage and the payload. While the Sea Launch Version of the Zenit-3 uses a fairing provided by Boeing, the Land Launch variant uses a payload fairing manufactured by NPO Lavochkin. The aluminum fairing is 4.1 meters in diameter and 10.4 meters long. Payload Adapters interface with the vehicle and the payload and are the only attachment point of the payload on the Launcher. They provide equipment needed for spacecraft separation and connections for communication between the Upper Stage and the Payload. The separation system can be based on either the traditional pair of pyrotechnically-initiated bolt cutters or a low-shock Clamp Band Opening Device (CBOD). Several off-the-shelf adapters are available to accommodate various payloads. Also, custom made adapters can be fitted atop the Block-DM-SLB Upper Stage to accommodate a variety of different payload requirements.